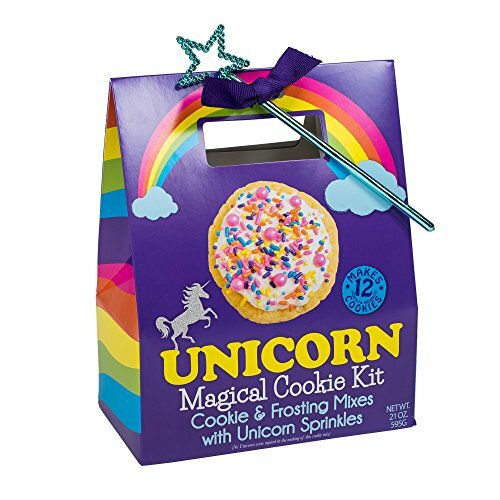 Includes mix for cookies, frosting and Unicorn sprinkles; Wand attached with decorative ribbon (wand color may vary). Carry-out to go box style packaging; Enough mix to make 12 cookies (one dozen). Fun party favorite; Just add 1 large egg; 1 stick or 8 Tablespoons of softened butter for cookies. Baking directions for cookies and mixing instructions for frosting located on back of box . Mix proudly made in the USA.